Hokuto (北杜) is located northern Yamanashi Prefecture. It is surrounded by, Minami Alps mountain, Yatsugatake Mountain and Mizugaki Moutain. There are many rich nature spots and Onsen in this area. 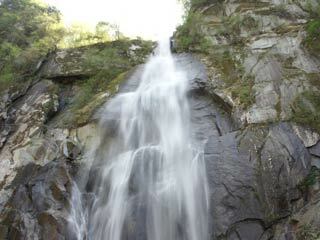 It is located highland, so the avarage temperature is very low in summer. You can enjoy beautiful forests, valley, waterfalls and mountains for hiking. It has also great local foods. Use Chuo Express Way. Exit at Kobuchizawa. Use JR Chuo Line to Kobuchizawa Station.